Still Time to Catch the Bard! I hope you had a chance this past month to enjoy the many local readings, workshops, and performances in our literary community. It was quite a feast of riches! My own personal favorite was SRJC Theater Arts Production of Twelfth Night with an all-male cast. The transformation of Burbank Auditorium into the Black Friar’s Theater, the young men in corsets, Elizabethan dress, and make-up, the jugglers and musicians, and the double-mind bending experience of watching a young man pretend to be a woman pretending to be a man—all of this was delightfully executed. I’ve seen many productions of Shakespeare, but never with an all-male cast, and this production is a hoot! 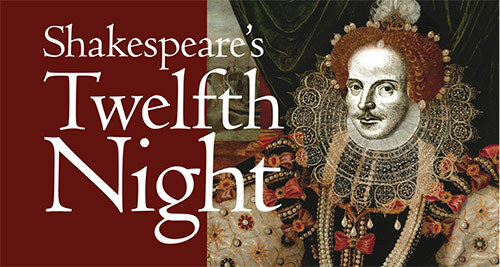 Twelfth Night plays for one more weekend, May 5, 6, 7 at 8:00 PM; May 7, 8 at 2:00 PM. And here’s the link to order tickets online: http://theatrearts.santarosa.edu/buy-tickets-online. 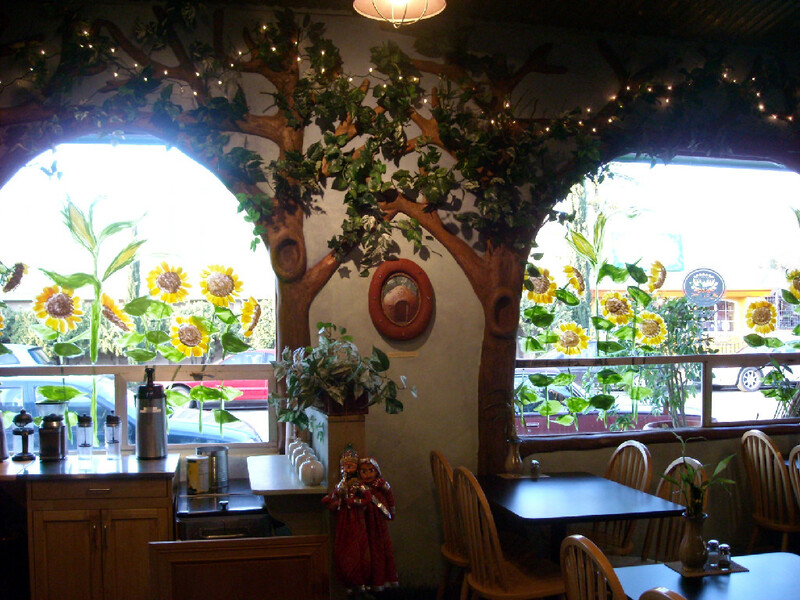 Located at 1899 Mendocino Ave. in Santa Rosa, bordering the SRJC campus, Gaia’s Garden (formerly Govinda’s) is an international vegetarian buffet that has become one of our liveliest venues for musical and literary events. If you’ve followed the Update’s posts and calendar, you know that Gaia’s Garden has hosted the 100 Thousand Poets for Change readings, coordinated by Susan Lamont and friends. Many of you have participated in these. Last March, following the death of Pete Seeger, the venue hosted a tribute sing-along with Dan Imhoff and Cahoots, which was lots of fun. What you may not know are the many other ways Gaia’s Garden supports local authors and our literary community. For example, the Garden display and sells signed copies of books which appeal to a range of interests – fiction, non-fiction, technical, memoirs, fantasy, children’s books, etc. The collection is organized and distributed by Jeane Slone. Every other month, Gaia’s Garden offers a “Dine With the Authors Night.” Five or six different authors attend for conversation over a meal, then each reads briefly (5 minutes). In this salon setting, you can find out more about a specific writer and his or her process and become inspired by the cumulative creativity of the group. Reservations are suggested (with dinner purchase only), and you may request a specific author’s table if you wish. The Very Veggie Book Club meets at Gaia’s Garden every Tuesday evening from 6-7 for a discussion and social hour with co-hosts Sheryl L. and Paul S. You can just show up—no reservations needed. For more information, you can call Paul at (707) 535-6539. If you’ve never been, treat yourself to an evening at one of the upcoming May events. On Monday, May 9, 6:00-8:00 p.m. you can dine with local authors Lenore Hirsch, My Leash On Life (pet memoir); Sandra Lee Dennis, PhD, Love And The Mystery of Betrayal (psychology); Inga Aksamit, Highs And Lows On The John Muir Trail (non-fiction memoir); Dan Murdock, Mini Storage Stories (short stories); Arletta Dawdy, Rose of Sharon (historical fiction). For reservations: info@jeaneslone.com or 544-2491. Minimum $5.00 food purchase. Or, if you can’t make that event, on Saturday, May 28, 2:00-4:00 p.m., the Redwood Writers hosts an Open Mic as well as featured author readings with Juanita Martin and Mary Lynn Archibald. Saturday, May 14, 7:00 p.m. Copperfield’s presents local journalist and Pulitzer Prize Finalist William Carlsen, whose book Jungle of Stone: The True Story of Two Men, Their Extraordinary Journey, and the Discovery of the Lost Civilization of the Maya recounts the arduous journeys of lawyer John Lloyd Stephens and architect/artist Frederick Catherwood into the jungles of Central America on a quest to uncover and understand the lost history of the Maya. At Copperfield’s, 138 N. Main Street, Sebastopol. Sunday, May 22, 2:00-4:30 p.m. Flight of Poets: Wine and poetry have always made a delicious duet. At this special Sonoma edition of Flight of Poets, happening in the Old Redwood Barn at the Gunlach Bundschu Winery, 2000 Denmark St. Sonoma, internationally renowned sommelier Christopher Sawyer pairs four talented poets with four exquisite wines, carefully selected to illuminate their work. Readings by: Hollie Hardy, Ada Limón, Dean Rader, and Tess Taylor. $20 entry fee includes reading and a flight of four tastes. Must be 21+. The Literary Update has a directory of Sonoma County authors, and when a writer has a new book out, the directory provides a great place to feature that, along with a link to where the book can be purchased. But we don’t do book reviews. It might be interesting to add that as a special feature or blog, and if any of you are interested in this, please contact me or Jo-Anne Rosen at sonomacountyliteraryupdate@gmail.com. 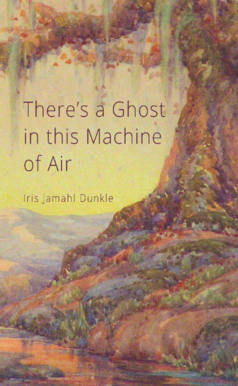 Recently, we received a review of our new Poet Laureate Iris Jamahl Dunkle’s collection, There’s a Ghost in this Machine of Air, written by Juanita J. Martin. Jo-Anne and I thought we’d present Juanita’s review as a guest writer’s “featurette” on this post, recognizing Iris’s poetry and her work in the community. 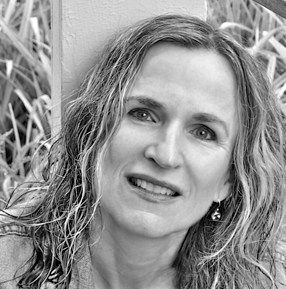 You can hear Iris Dunkle read her work, along with Patti Trimble, on Monday, May 2, 6:15 p.m. at the Aqus Café in Petaluma, and again on Saturday, May 7, 2:00-4:00 p.m. at the Sitting Room, 2025 Curtis Drive, Penngrove. Details about both these events are on our calendar page. I am haunted, elevated, and enriched by the historical tapestry woven by Sonoma County native, Iris Jamahl Dunkle. She brings the past of Sonoma County alive to this non-native. I can appreciate its weightiness. In the poem “The Lesson of Mud and Potatoes,” Iris talks about the stage coach rides from the docks of Petaluma River to the potato mines of Bodega. She speaks of potato blight, winter runs, a barge too full that sunk and where her rusty hull might lie on the muddy roads of history. In “Air,” Iris’ sense of place flows with conviction, depth, and power like a punch. As you absorb the nuances, you move with her through each period of time, holding onto each moment with curiosity, tissue for the tears, and the aftermath of brilliant poetic dissection. In honor of Mother’s Day, here is a poem by Marin poet, Rebecca Foust, author of Paradise Drive (Press 53, 2015). Copyright © 2015 by Rebecca Foust. Originally published in Poem-a-Day on August 25, 2015, by the Academy of American Poets.